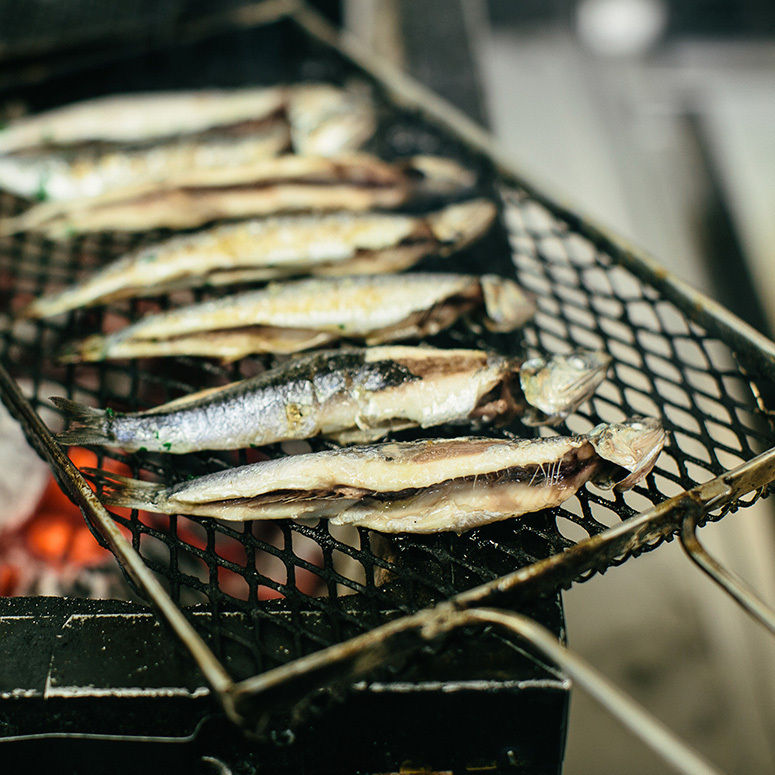 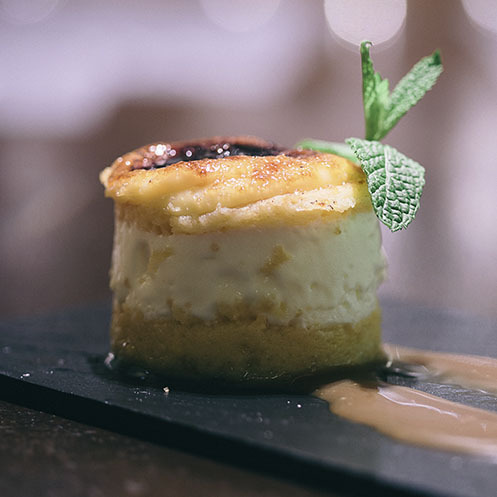 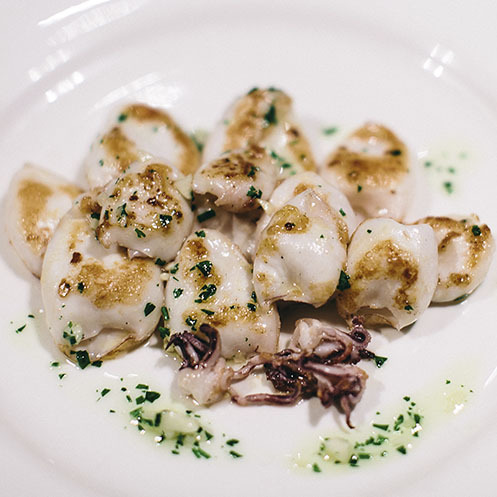 an informal culinary space that pays tribute to the maritime taverns on the Basque coast. 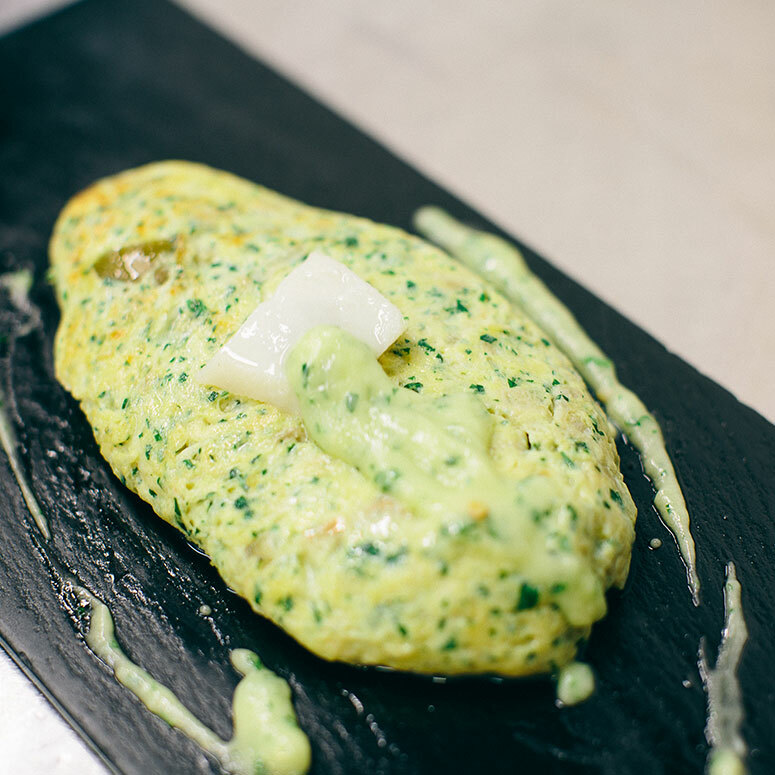 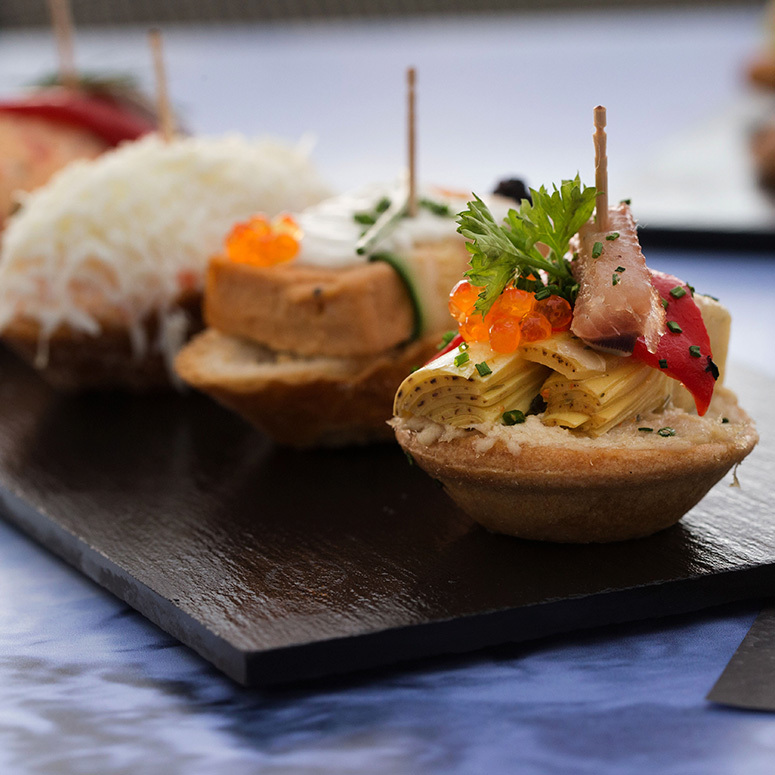 Golfo de Bizkaia has become an important reference point in the city’s “pintxos” routes. 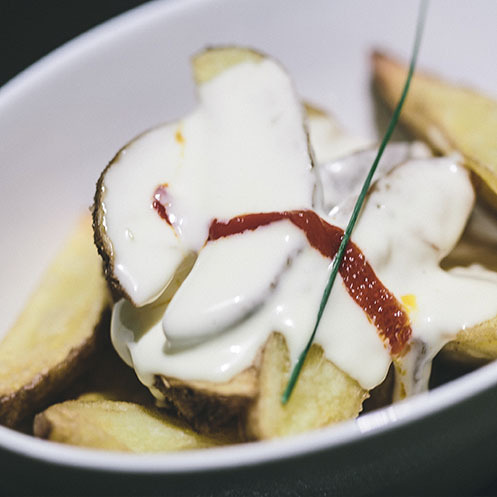 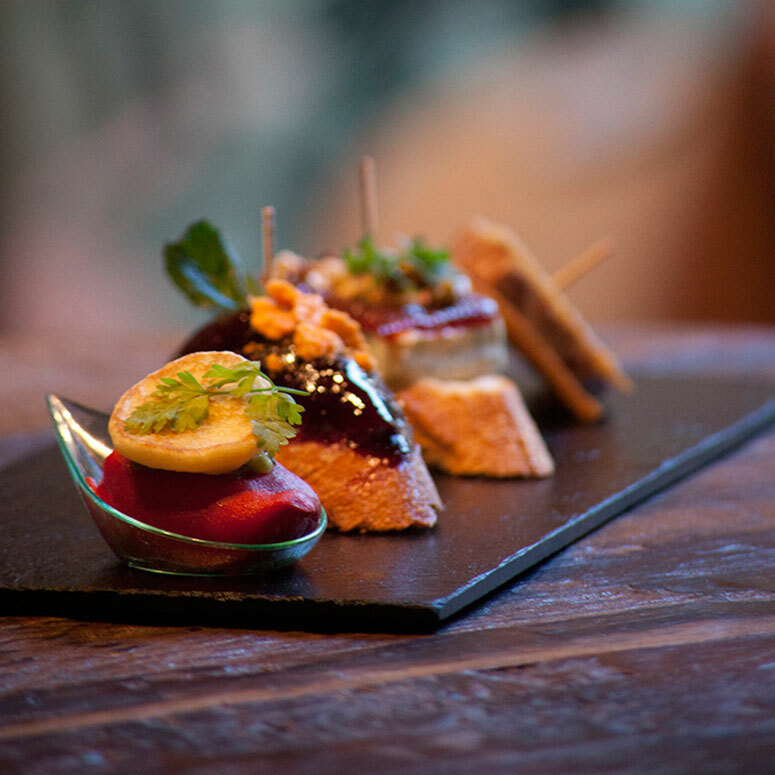 Golfo de Bizkaia has an updated, casual, modern “pintxos” bar with a wide variety of hot and cold dishes. 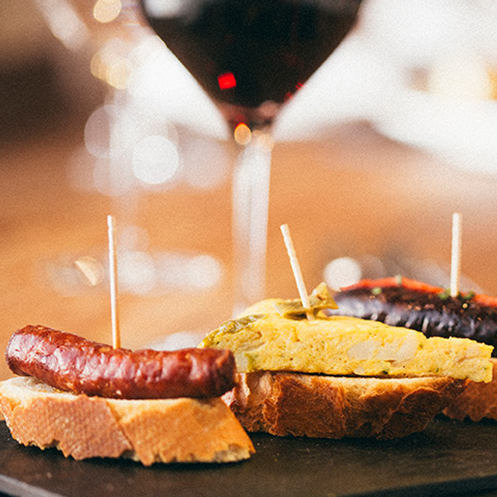 The menu is designed to be shared with friends in a fun way, with smaller signature portions and dishes from Basque cuisine: txakoli mussels, marinated anchovies, our scrambled eggs with txistorra or tripe with chickpeas. 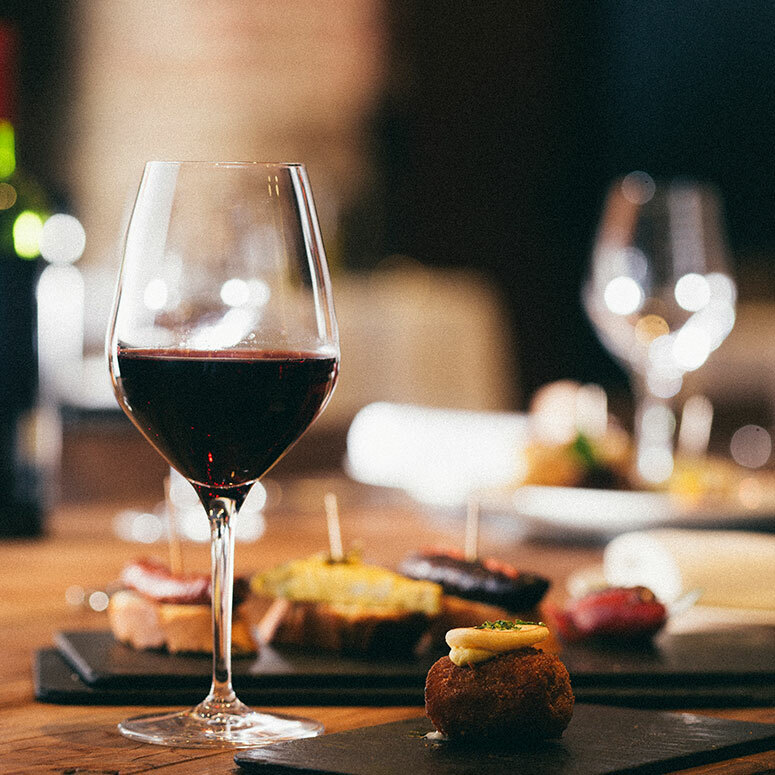 In our cellar, you will also find a wide selection of txakoli, the authentic Basque hard cider, and the best red wines from the Basque denomination of origin.